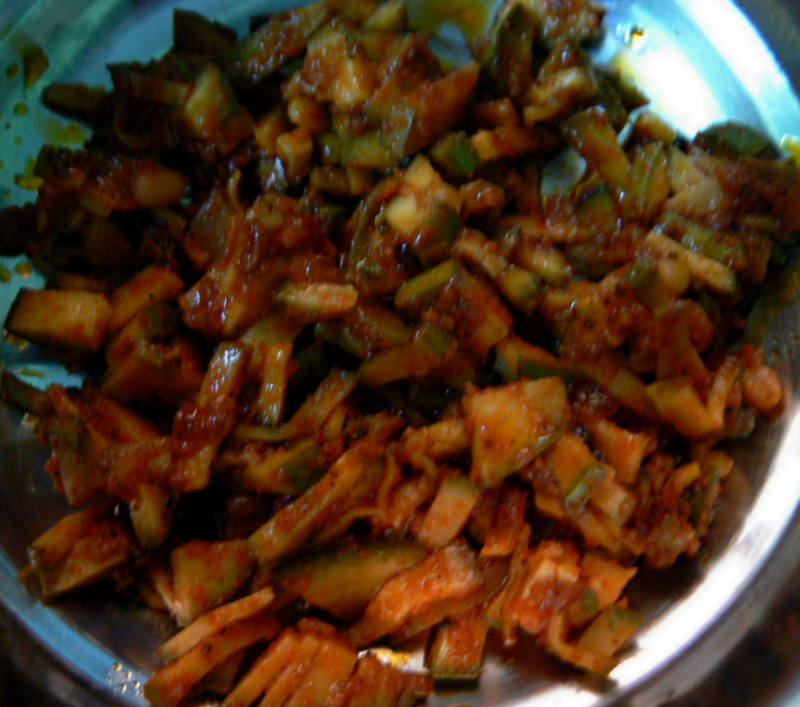 This pickle tastes better than Mango pickle and very good for health too. Mix salt with chopped raw mango and ginger and leave it for 2 hours. Then mix all the other ingredients with this and microwave this for 2 mins on high.